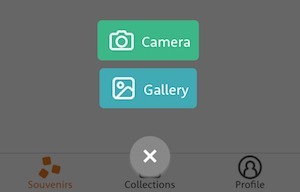 Kumbu allows you to upload pictures (JPEG, JPG, GIF, PNG) and videos under 20 Mo from your iOS device. Learn how! 4. Select 1 or more photo and tap Done to confirm upload. 4. Select 1 or more photo and tap OK to confirm upload.